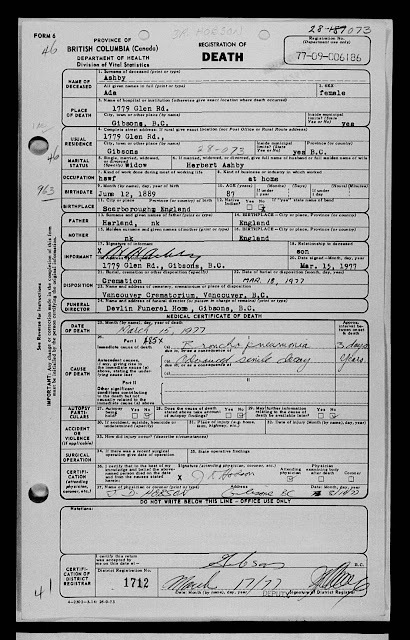 Recently Ada's death certificate, and the death certificate of her husband Herbert (Bert) Ashby (who she talks about in the diary) became available online. I have added them here to complete the story of Ada and Bert. Bertie was with the Princess Patricia's Canadian Light Infantry (PPCLI)and during WW1 was stationed in England. 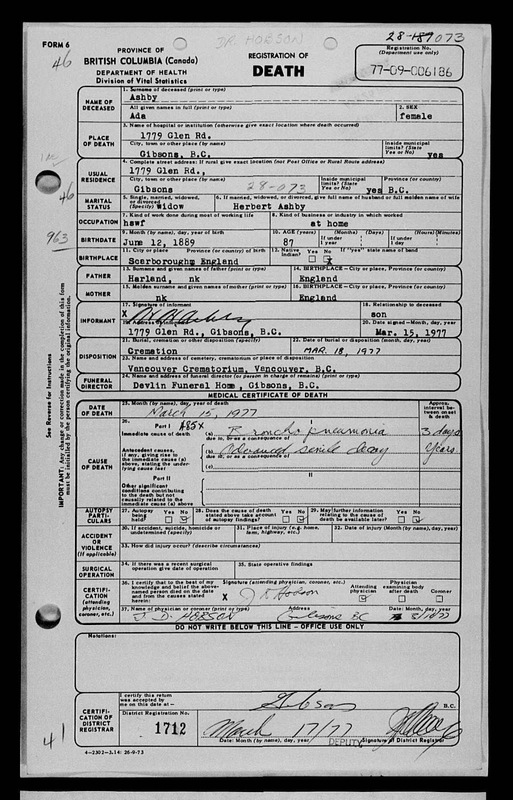 Bertie and Ada were married in Yorkshire England in the first quarter of 1919 and in the fall of that same year Ada sailed to Canada on the ship Scandanavian to join her husband in Vancouver B.C. Bertie died in Vancouver in November 1960 and his widow Ada died in Vancouver March 1977.